This position is directly responsible for all aspects of a project, including managing a crew to complete daily activities on roadway, highway, and heavy highway projects. This position may require travel depending on the location of the project. Organizes and plans daily work activities with GS or DO to ensure the most profitable sequence is followed and to discuss the best means and methods. Directly supervises and coordinates daily operations on assigned projects to ensure that proper resources (labor, material, equipment) are in place for timely completion or work. Directly schedules and supervises all subcontractors on assigned projects. Promotes and complies with all company safety policies and procedures. Promotes and complies with all company rules, regulations and procedures. Reviews contract plans, specifications, and project documentation to ensure that the project is completed using the correct specifications, standards and to the satisfaction of the owner. Assumes responsibility of crews performance as it relates to company and project goals, safety audits, and compliance with policies and procedures. Takes corrective and / or disciplinary actions to address deficiencies and policy violations. Monitors quality of work daily for both company crew and subcontractors. Assumes responsibility for project equipment utilization and maintenance. Assist with ensuring that all operators are properly trained or qualified. Prepares and submits accident and / or injury reports. A minimum of 8 years of experience in the construction industry. Ability to read and understand project specific documents including plans, specifications, material data sheets, safety data sheets, and other pertinent project information. Ability to work under pressure and within established timelines. Must be able to perform physical activities that may require climbing, lifting, balancing, walking, stooping, kneeling, bending and handling materials, equipment and tools. 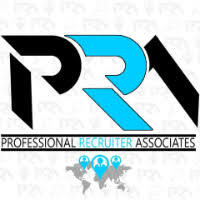 For immediate consideration, please forward a copy of your current resume to info@profrecruiters.com referencing job #1759 or a link to this job.